The Center for Health Human Rights and Development (CEHURD), Prof. Ben. K. Twinomugisha and Dr Rose Nakayi have petitioned court challenging the failure of the State of Uganda to make a law regulating termination of pregnancy as is required by the Constitution. 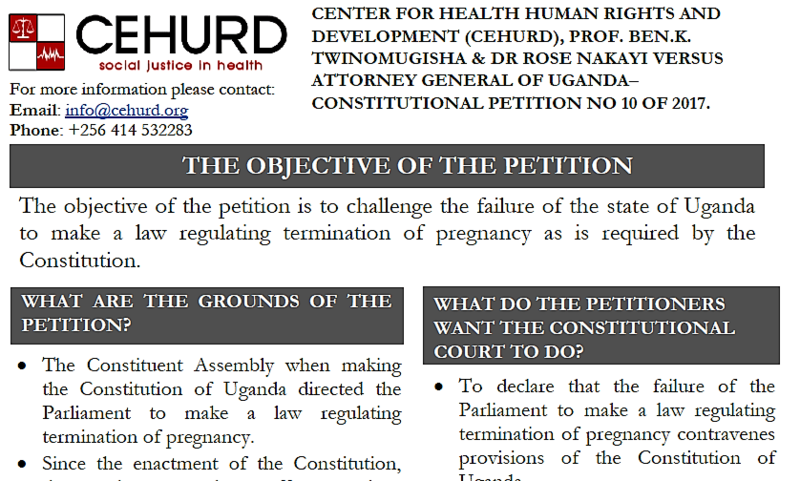 The petitioners therefore among others calls upon the courts of Laws to declare that the failure of the Parliament to make a law regulating termination of pregnancy contravenes provisions of the Constitution of Uganda.